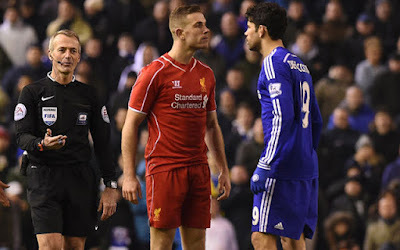 Chelsea v Liverpool – The biggest game of our season so far. Chelsea take on Liverpool tonight at the Bridge and it's the first big game of our season so far. If Chelsea is to be considered as a team capable of putting together a challenge for the top four as a minimum this season, it's games such as these we need to win. This is a dangerous game for Chelsea tonight as we have all seen just how impressive Liverpool can be going forward. They look to attack with plenty of pace and the acquisition of Saido Mane has been a good one as he has hit the ground running since his move this summer. With the likes of Daniel Sturridge, Phillip Coutinho, Firmino, Adam Lallana and others looking to get forward at every opportunity, the likes of N'Golo Kante and Nemanja Matic could have a busy night and will need to be at their defensive best to hold firm. So what of the rivalry that has developed between the two sides over the last decade or so? Many people believe it was ignited in the 2004 League Cup Final as Jose Mourinho "asked" the Liverpool fans to be quiet with his finger over his mouth after a Steven Gerrard own goal leveled the score at 1-1. Ever since that game, the two sides have been drawn together on a number of occasions in the Champions League and have had some real classic British encounters, which we all remember. If you were to ask Liverpool fans of the rivalry that has developed in recent years, I believe they wouldn't entertain any real thought of Chelsea being one of their main rivals in any season; possibly for the top four but it's not one of the first games they would look for when the fixture list comes out. The game means more to Chelsea fans because of the recent rivalry in European competition. Let's face it, there has only been two occasions since 2004 that Liverpool have produced a realistic title challenge so it's had to be in the Champions League. The Premier League encounters have been nothing like those famous nights at Anfield or Stamford Bridge. Chelsea has come to the fore under Roman Abramovich since 2003 when he first purchased the club. Up to that point, Liverpool was a game that we always looked forward to when our fixtures came out. From the dominant side in the 80's standing on the old Shed End, through the 90's, the noughties to the current day. I remember Chelsea beating Liverpool 3-1 at the Bridge, which at the time was a big, big result with the Chelsea fans urging Bruce Grobbelaar to show us what the score was and he kindly obliged. Focusing back on tonight, it has all the makings of being another one of those classic encounters. Liverpool on fire, scoring plenty of goals but as we have seen at Burnley, capable of imploding with players not fancying the game and going down away from home 0-3. Liverpool is fantastic going forward but do have defensive frailties that need to be exposed. One area Chelsea can focus on tonight will be their left hand side. James Milner is not a natural defender and has been asked to fill in there as doubts remain over Alberto Moreno. I would not be surprised if we find Eden Hazard moving out to our right hand side more often than on the left to go directly up against Milner. 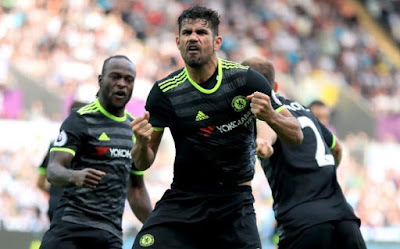 On big nights like tonight, we are looking to Diego Costa to continue his excellent start to the Premier League season. Jurgen Klopp described him this week as “World class” and for his players not to try and get involved with him, or to try and get him sent off. One of Diego Costa's notable battles in recent seasons has been with Martin Skrtel, however he was sold in the summer. Costa will look to give whomever he faces tonight a hard time but it's important that he plays within the rules of the game as he has received three bookings already. 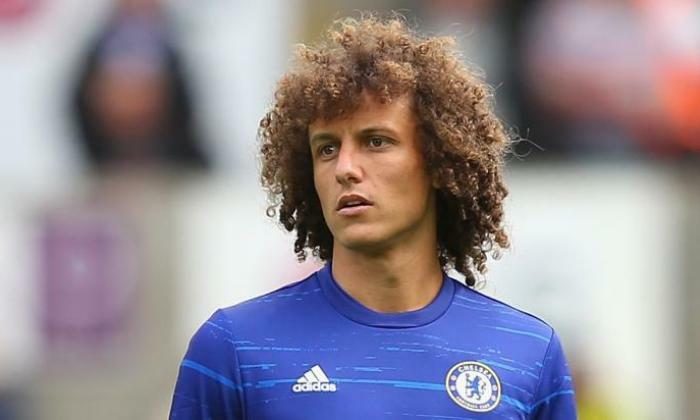 Plenty of focus ahead of the game has centred on the confirmed second debut of David Luiz. The engergetic Brazilian is often maligned for his defensive attributes which we have to admit leave a lot to be desired on occasion, however its on those big occasions such as the Champions League Final in Munich that Luiz demonstrated to the world just how good he can be when he remains focused on the in hand. Tonight, making his second debut in a Chelsea shirt, once again against Liverpool I have to add, he will become the focus of the pre-match build up, as the pundits will look at the opponents he faces, their movement, their pace and whether or not Chelsea will remain firm. The one major positive for David Luiz and the Chelsea back four is the presence of N’Golo Kante who will offer them a level of protection we have missed since the days of Claude Makelele. If the Frenchman can provide the screen in front of our defence, to win that ball back and give the ball forward early, then Chelsea could have a big night ahead of us. There are plenty of battles all over the pitch and on the sidelines as we look forward to the game in just a few hours time. Jurgen Klopp has demonstrated his passion on the side of the pitch and we know the passion and emotion of Antonio Conte. It’s the team that handles the emotion of the night that will come out on top and for Chelsea; we need our big players to turn up for this one. We are looking to Thibaut Courtois, Gary Cahill, N’Golo Kante, Nemanja Matic, Oscar, Eden Hazard and Diego Costa to play well and raise their game to another level. This is massive this evening and would see Chelsea move to the top of the Premier League heading into the weekends other games. We have seen plenty of big nights against Liverpool and tonight have the potential of being one of them. Can Antonio Conte and his Chelsea team deliver in the first major test of our season so far? For match stats and predicted lines ups - check out the additional preview here!